Social media and app culture are disrupting the traditional channels through which brands, photographers, stylists and designers book models, allowing for more freedom, flexibility, and individuality in the industry. Swipecast, a New York-based application launched for the iPhone, allows models to organise their own calendars and access new opportunities in real time, on the go. The app bypasses agency middlemen, and takes only a 10% cut. The app comes at a time when controversy is circling three of London’s top modelling agencies, which have been accused of running a cartel to keep their prices fixed at a high rate, and eliminating the competition. The Uber-like model, which features a similar two-way rating system, will offer more creative, flexible and ultimately accessible opportunities for independent clients, and those struggling to afford agency rates. 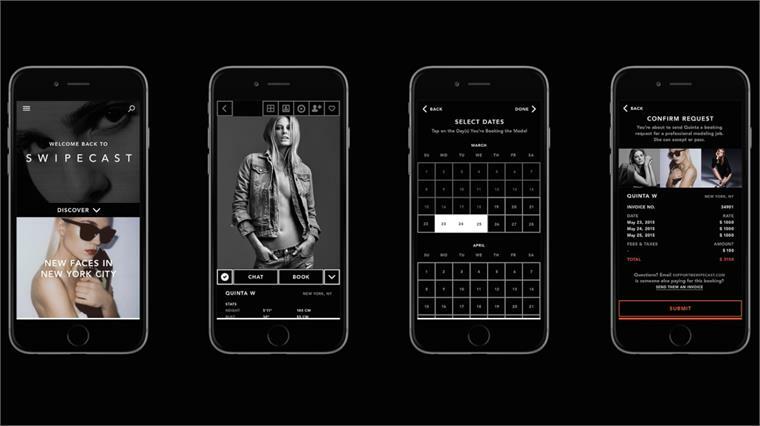 It equally offers models the chance to maximise their time. So far, creatives using the app include New York-based photographer Ellen Von Unwerth and stylist Katie Burnett. Similarly, social photo-sharing app Instagram has become one of the leading alternative ways for brands and agencies to find models. Marc Jacobs’ now defunct Marc by Marc Jacobs brand was the first to pick up on this, casting quirky, alternative models for a number of popular campaigns (see S/S 15 Campaign Directions) and inspiring others to do the same. International agency IMG Models launched the hashtag #WLYG – We Love Your Genes – on Instagram last December to scout new talent, signing 50 models as a result. The traditional fashion hierarchies are crumbling, with younger, lesser-known models rising steadily in influence thanks to increasing exposure online. For the A/W 15-16 campaign season, a proliferation of new faces in high-profile shoots for Gucci and Louis Vuitton suggests brands are looking to re-energise their offerings and pull the focus off icons and celebrities. A/W 15-16 Campaign & Editorial Directions A/W 15-16 Campaign & Editorial We highlight the key trends driving the Autumn/Winter 2015-16 fashion campaigns and editorial directions, from gender diversity and plus-size, to the plethora of unknown faces fronting high-profile campaigns. 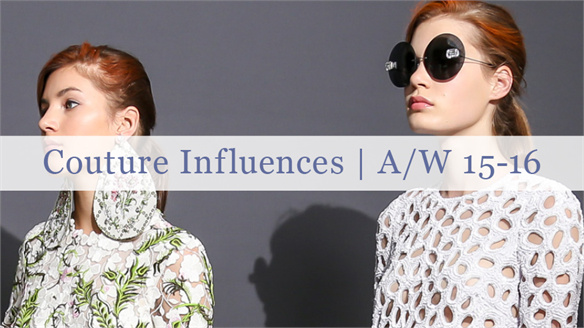 Couture Influences: A/W 15-16 Couture Influences: A/W 15-16 A springboard for fashion, beauty and cross-sector trends, Couture Week A/W 15-16 showcased unbridled creativity and luxurious craft, while also exploring how humour and casualwear are redefining modern couture. Stylus highlights the key influences across fashion, beauty and street styling. 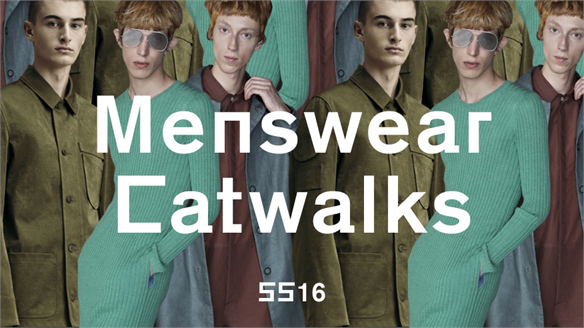 Menswear Catwalk: S/S 16 Menswear Catwalk: S/S 16 We provide our key edits from the menswear collections, highlighting the most important S/S 16 trends from London, Paris, Milan and Florence that will impact on fashion and style-related industries. 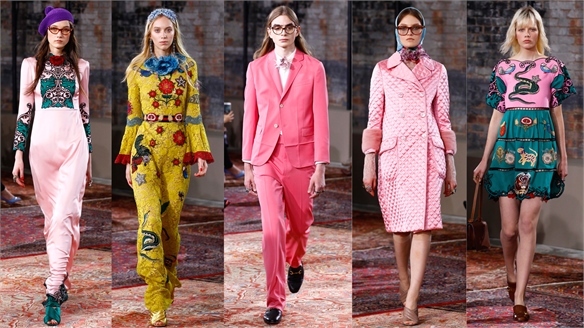 Gucci Resort 2016: Granny's Vintage Closet Gucci Resort 2016 Italian designer Alessandro Michele’s second ready-to-wear collection for Gucci continued the heritage brand’s reinvention for its new eclectic, contemporary luxury consumer. 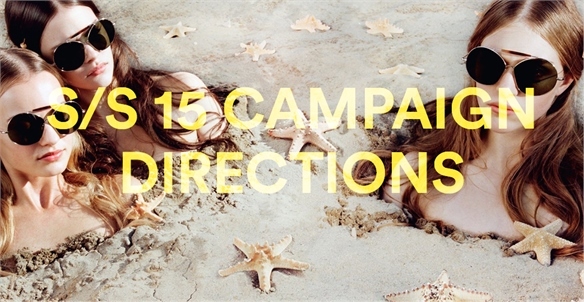 S/S 15 Campaign Directions S/S 15 Campaign Directions We highlight the standout advertising campaigns of Spring/Summer 2015 – from hyper-coloured kitsch, to sombre greyscale and the celebration of mature icons. We round up the key visual trends and influencers directing the fashion zeitgeist and the wider design arena. 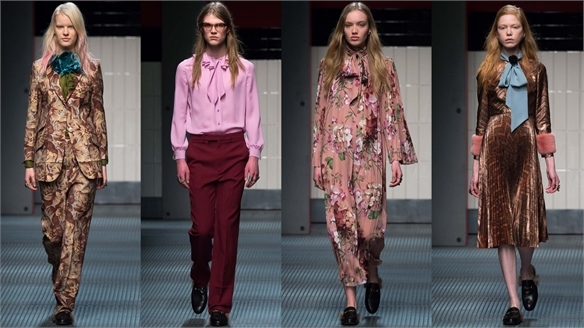 MFW A/W 15-16: Gucci MFW A/W 15-16: Gucci Alessandro Michele delivered his first womenswear collection at Milan Fashion Week after being appointed last minute as creative director of Gucci. The brand’s mood has shifted, joining Prada in its exploration of modern gender modes, and targeting a younger, hipper clientele.